I’m anxiously waiting for your review, I hope it’s good because I don’t want to keep waiting with my purchase. to HDMI 1.4 for these. Anyone know of one in the works? 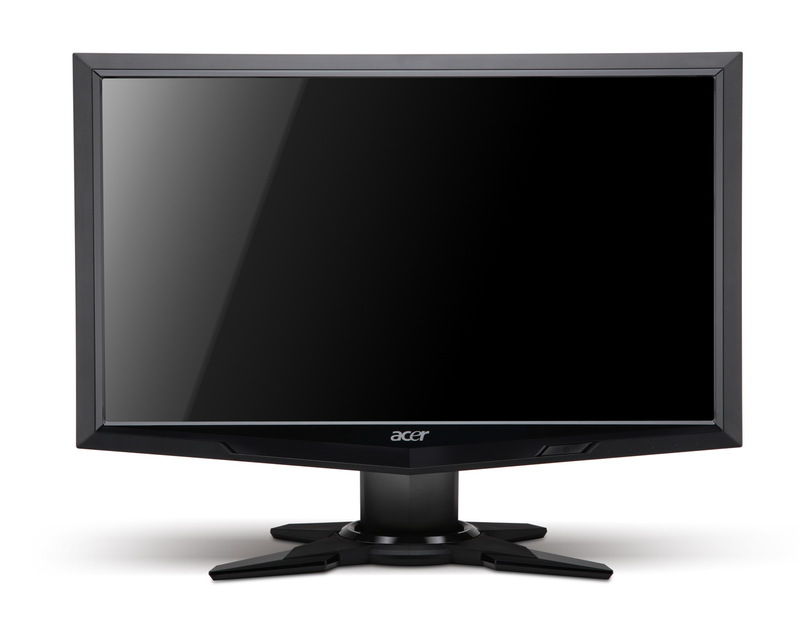 Can you use a 3d bd player or a ps3 with this monitor? what I would like to know is release date in United States, ps3 compatibility, and best place to buy this monitor or the 27 inch version? thanks in advance for making a review. Great, just when I finally broke down and spent too much on the 27-incher via ebay. I hope you don’t end up thinking the 24″ is far superior. I alrdy bought it some weeks ago (Germany), but i dont think it is far superior to the HN274H. Although this is may be my subjective impression, as i dont have any tools for objective measurements. At least the brightness shouldnt be able to keep up with the 27inch model, from what i can judge. I’ve heard that this monitor have lack of brightness for 3d, so dark scenes is almost unplayable. It would be nice if you check this. I wonder if this one has any difference compared to Acer HS244HQ 3D monitor. Does it use the same panel? I’m too interested in the 3D brightness. Does anybody know where can buy? Apart from Amazon Germany and Amazon UK. Or when arrive in other European countries? I got this monitor from Amazon Germany, I have to say that the price is fairly good but crosstalk is very noticeable & unfortunately I’m disappointed with the 3D aspect of the monitor. Forgetting 3D I think the monitor is excellent for playing games etc. With regards to brightness in 3D, I haven’t noticed any problems, dark scenes are perfectly playable as far as I’m concerned. and what glasses can you use for HDMI 1.4 please. I know your main rig has a NVIDIA card, but please try at least to test with a PS3. Specifically, check out the scaler and let us know how good 720p look when upscaled to 1080p. Many people are considering this monitor for use with AMD cards and they only work through HDMI. Why is it different for 3D vision see out better with TV 3D? I wanted have the same see out good with 3D vision to monitor. Is this monitor data see out good power 3D vision that TV 3D? Behalf for I was sad I had purchase before BENQ XL2410T this monitor is was a decision truly bad for 3D Vision in order to look on Films and Play Games. yes it is a common problem with all cheap LCD monitors. All of my monitors have the same problem in various locations on their screens. I have purchased a 5 year extended warranty and will now get and exchange as the repair is not possible due to lack of spares. So when can we expect the review? I think he might be busy/away these last days? There has been some spam in forum section, and it hasn’t been deleted yet… I guess he would’ve deleted it if he was there. I bought this monitor and kept it… for 2 days. I sent it back pretty fast. Acer build quality is one of the worst I’ve ever seen. The worst part is : IT DOES NOT DISPLAY 120HZ. Nope, it’s a 60hz dual frame thing, so no desktop at 120hz, no gaming at 120hz. 3D was ok with the included glasses, but not so great, the images becomes too dark with the shutters. HDMI 1.4a or any kind of HDMI will NEVER be able to display 1080p at 120hz. DVI only. Remember this if you want a monitor for gaming. Bloody posted this 2 weeks ago and hasn’t made 1 response to this post or posted anything since. Hope he’s ok.
Word. He could actually have died, but let’s hope otherwise! Is there a difference between the GN245HQ and the GD245HQ? Or is it a regional thing? same monitor different name depending on where you live? ignore previous question. I found the answer on another site. Pay attention to colour calibration as this seems to be a weak spot. Out of the box it is not okay, I don’t care, but is it ajustable to values that are acceptable. I too am looking forward to the review. I would be very grateful for the calibration profile. I want to buy it, but I’m waiting for your review first. When can we expect the review? It’s been a month now after the announcements We know you are busy but since the number of reviews of this monitor is very limited we really are looking forward to your judgement…. Bloody, I’m hesitating between the Acer GN245HQ and the HN274Hbmiid and will probably buy the 27″. But I will wait for your review. Thank you in advance! Hey,,, what a nice screen.. are this screen can suppor for multi screen (3 monitor like GD245HQ) with 3D? ?